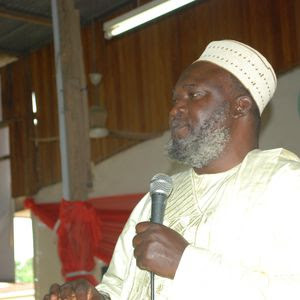 A one-time leader of the Muslim Students Society of Nigeria (MSSN) in Lagos and Assistant Director at the Voice of Nigeria (VON), Ustaz Abdurazak Abdusalaam has urged Muslim students to be missionary in a bid to sustain the society. He stated that Muslim students need to be missionary by calling people to Islam and replicating themselves in the mass majority of the people they are inviting to the fold. Ustaz Abdusalaam made this submission while speaking on a lecture titled “Islam in Nigeria” at a Special Edition Usrah of the Muslim Students Society of Nigeria, Lagos State Area Council which held on Thursday at Zumratu Islamiyah Central Mosque, Yaba, Lagos. “Do you just pass through this society as a person. You can not look back and say these are my products. It’s wrong. That is not Islam. Islam wants you to be calling and inviting others. That’s the reality of Islam,” he added. When asked if there were changes in the challenges facing the society compared to their times, he simply said during they never assumed or abused anybody adding that they met people one-on-one to settle their differences. He said, “But today, it never like that. You abuse yourself on Facebook. People now talk rubbish and nonsense. You should not join them. Even if you are abused, your own is to talk to them with wisdom. Meanwhile, the seasoned journalist and author has also decried what he described as poor reading culture among the Muslim students in the country. He noted that Muslim youths of today are preoccupied by too many activities on social media rather than reading about Islam, the history and its mission. The Islamic preacher however, urged Muslim students to devote more of their time for the work of Islam and be missionary on their approach.